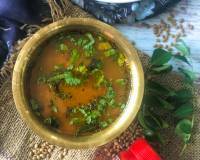 Dappalam, a Andhra Style Vegetable Stew which is filled with the goodness of vegetables such as carrots, sweet potato, bottle gourd etc. 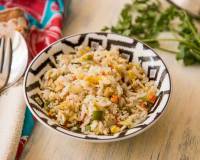 You can also add vegetables of your choice in this Stew to make it more nutritious. 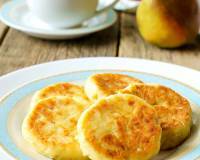 It is nutritious and tastes great with Steamed Rice. 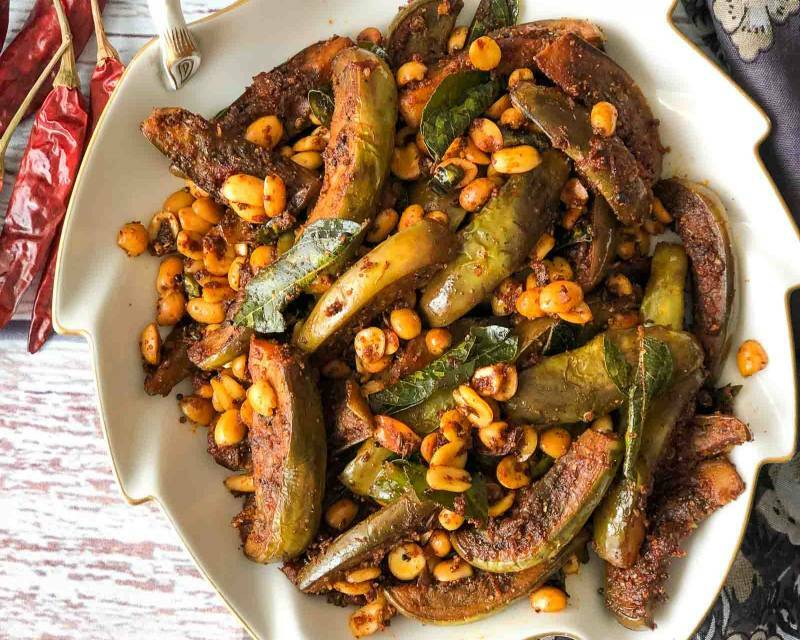 Along with this Stew, we have served Andhra Vankaya Fry Recipe With Peanuts, where small Brinjals are stir fried along with peanuts and sambar masala. 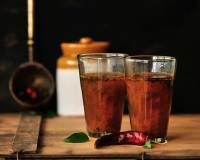 With these, we have served Andhra Dondakaya Chutney which is a simple South Indian Chutney made of Tindora, an everyday vegetable that we use in our kitchen. 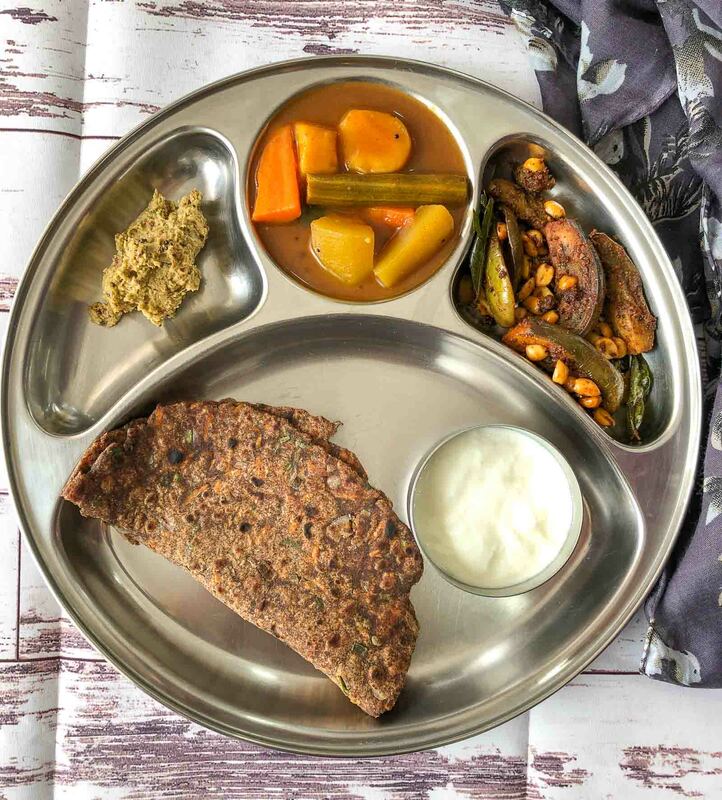 To complete the meal, we have served a Khatti Meethi Ragi Masala Roti With Carrots and Curd. 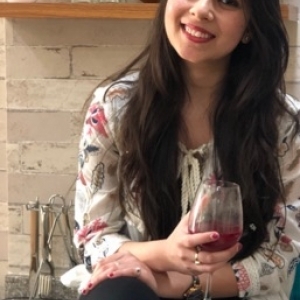 If you want, you can also serve Phulka or Steamed Rice with this meal. 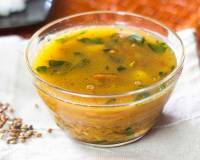 Looking for something simple to make which is delicious, comforting, full of nutrition and goes along with a rice meal, then you must make Dappalam. 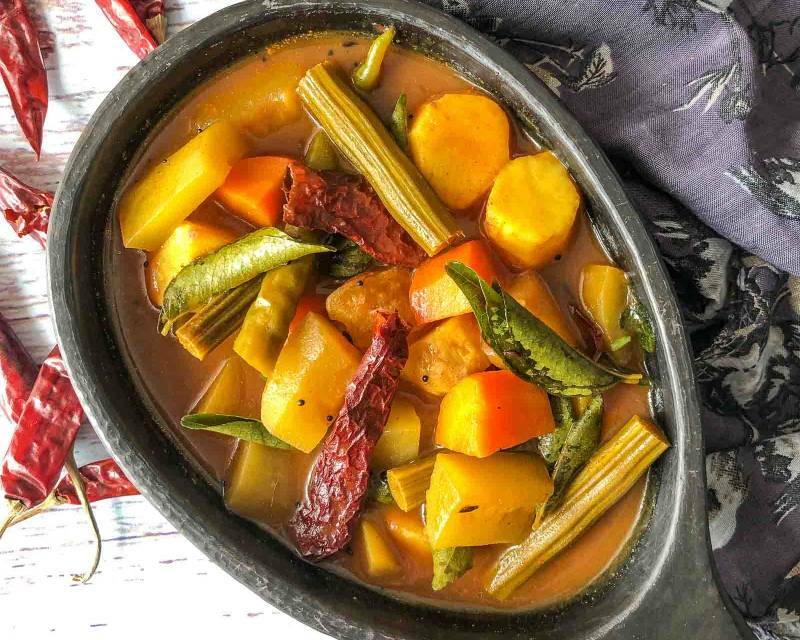 This amazing mixed vegetable tangy stew is made with mixed vegetables like carrots, bottle gourd, sweet potato, tamarind and jaggery. 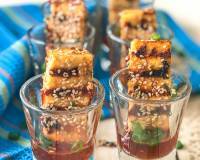 Its is easy to make and every mouthful creates a party in your mouth. You can also add any vegetables of your choice to make this stew. 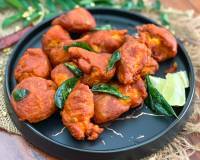 Andhra Vankaya Fry With Peanuts Recipe, a simple to make and tasty dish which is made from small brinjal. 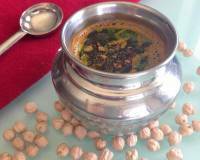 Peanuts are also added in this dish to give it a nutty crunch. 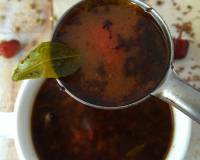 Along with it, it is sauteed in authentic sambar masala made in the household of Andhra, which gives it even more flavour. In South Indian, chutneys are made from various vegetables and here we are making chutney from Tindora. It is also a great way to include Tindora in your diet. 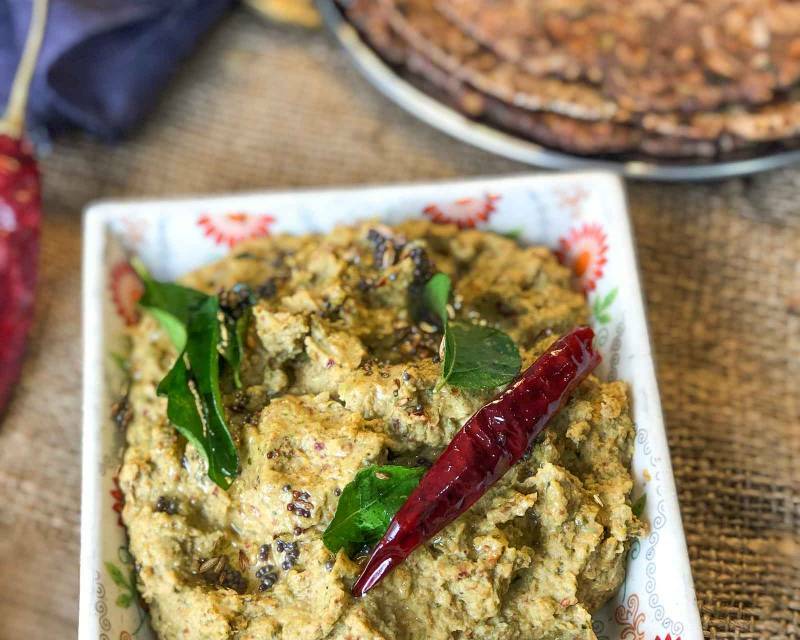 Andhra Dondakaya Chutney Recipe is a delicious chutney where spiciness comes from the chillies, tanginess from the tamarind and great flavour from the tindora and peanuts and spices like red chillies, coriander, fenugreek and cumin seeds. Khatti Meethi Ragi Masala Roti Recipe With Carrots, a tasty Roti that you can make for your everyday meals. 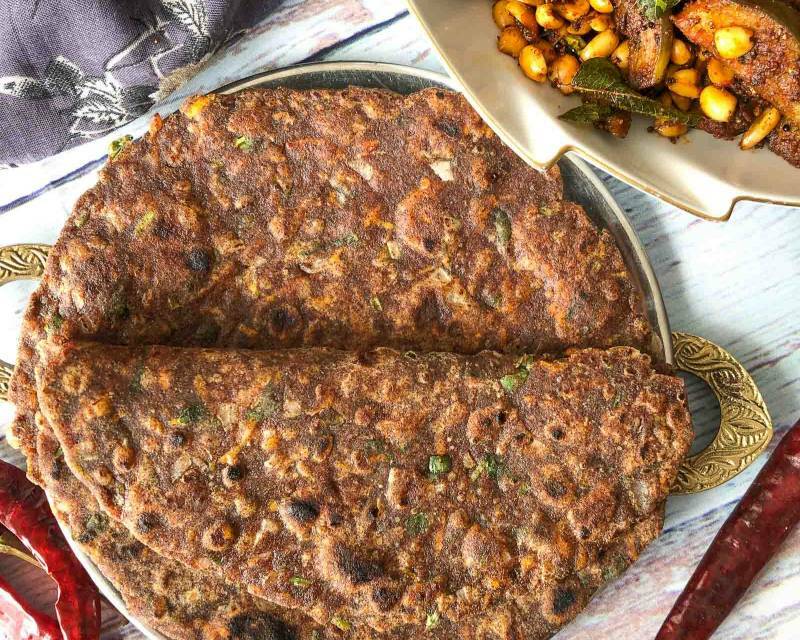 It has a unique delicious wholesome taste from the ragi flour, whole wheat flour, tamarind paste, jaggery, green chillies, chopped onions and red chili powder. 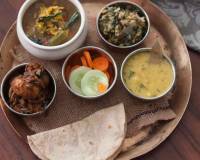 These Ragi rotis are simple to make and go great with any chutneys, dals or curries. 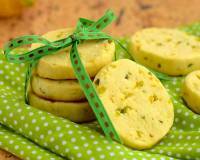 If you like this recipe of Ragi Roti, here are a few more diabetic friendly Recipes. 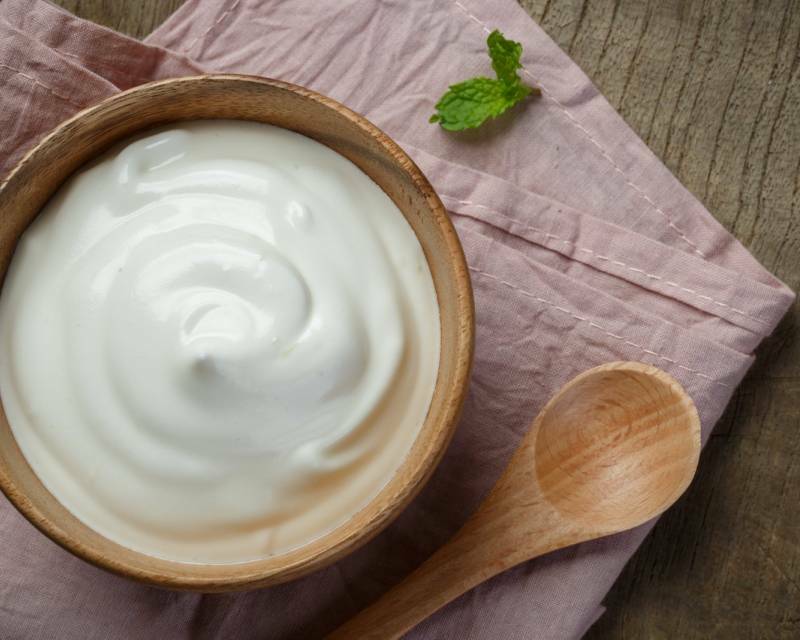 It is good to include Curd/Yogurt in your everyday meals, as it helps in digestion and also makes your meal filling and nutritious. 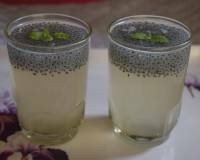 If you want to add some flavour and taste, you can also serve some Raita with this meal such as Tomato Onion Tadka Raita, Dill Cucumber Raita and many more.